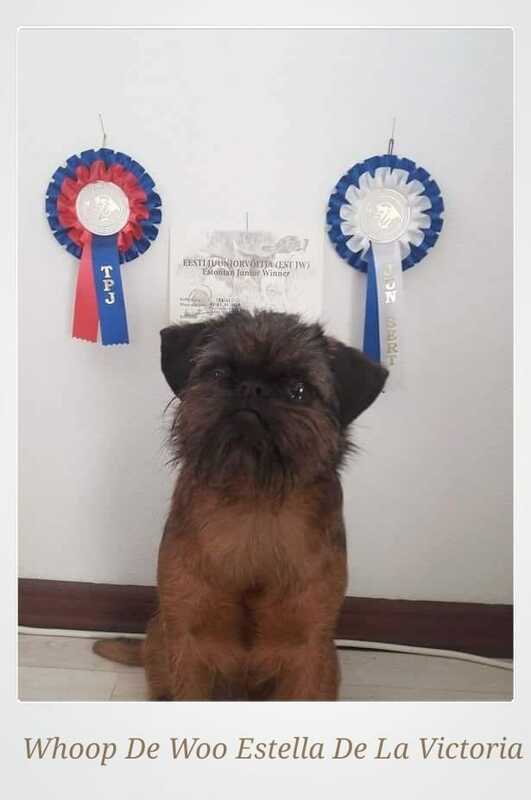 Griffon Bruxellois girl WHOOP DE WOO ESTELLA DE LA VICTORIA “Kiki” got her third EST JCAC, was BOB J and BOB. Griffon Bruxellois girl WHOOP DE WOO ESTELLA DE LA VICTORIA “Kiki” had nice show result from Latvis. 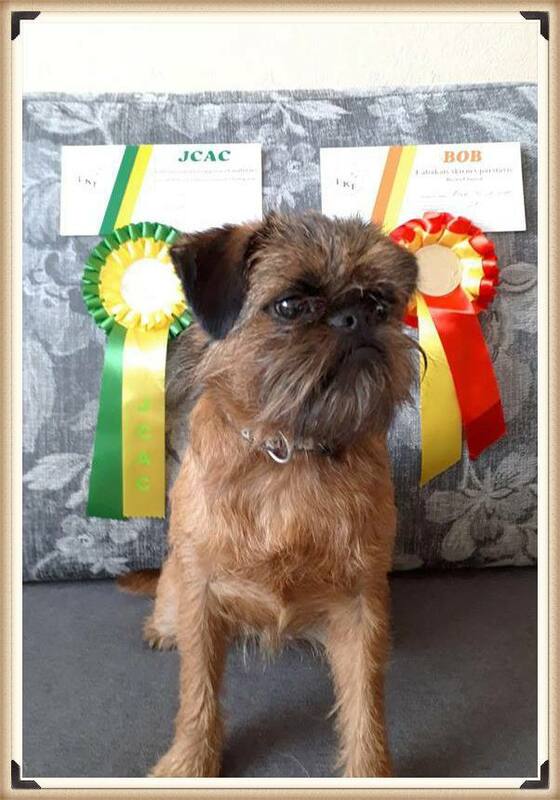 She won LV JCAC and was BOBJ and BOB. 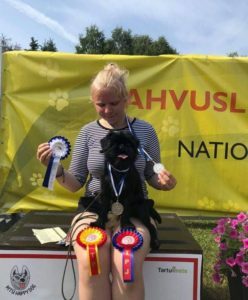 Kiki can confirm her JUNIOR CHAMPION OF LATVIA after confirming Champion of Estonia! Congratulation to owner Elen Koiduste! 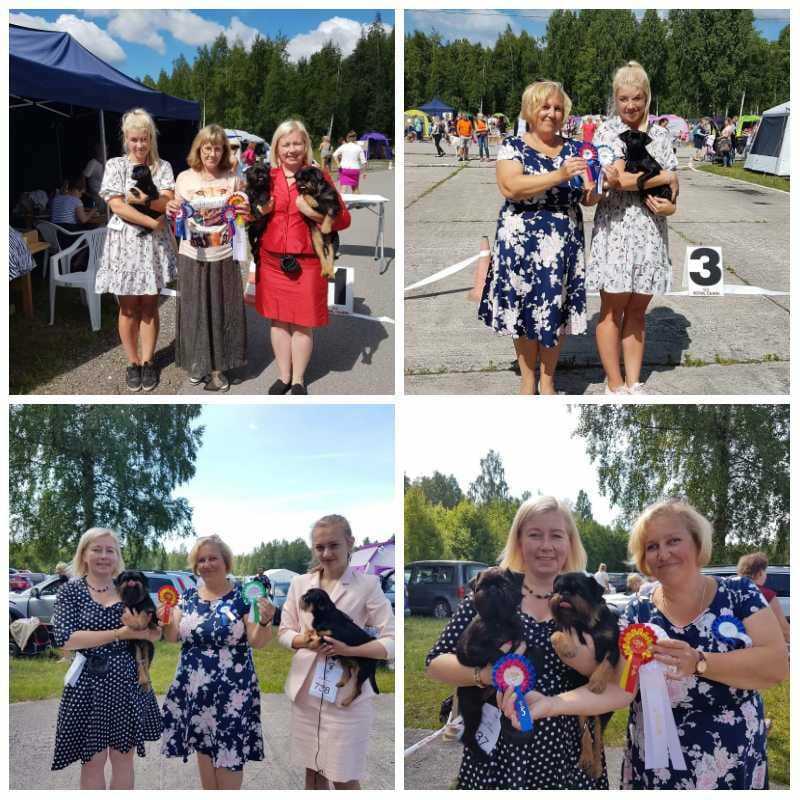 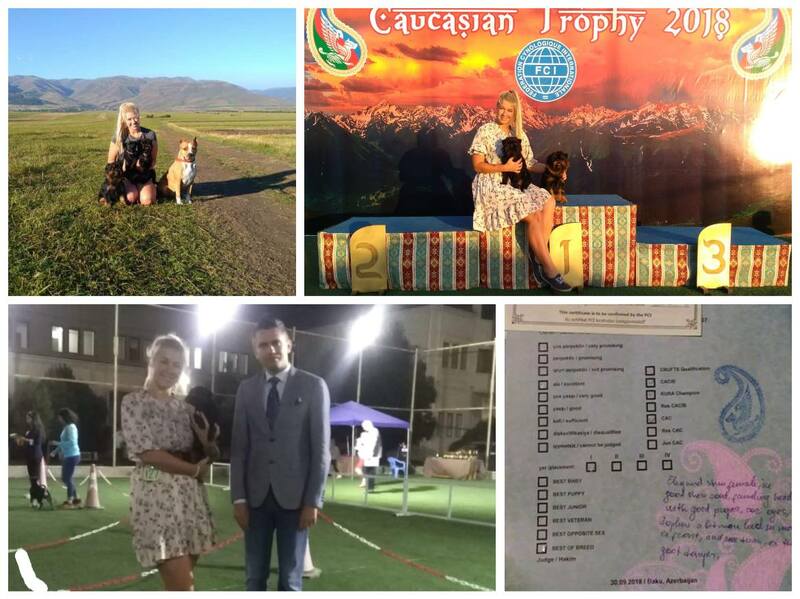 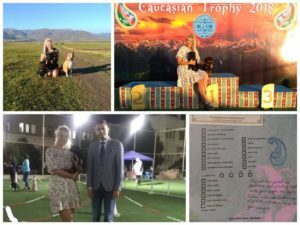 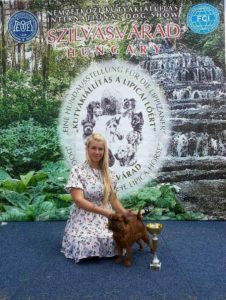 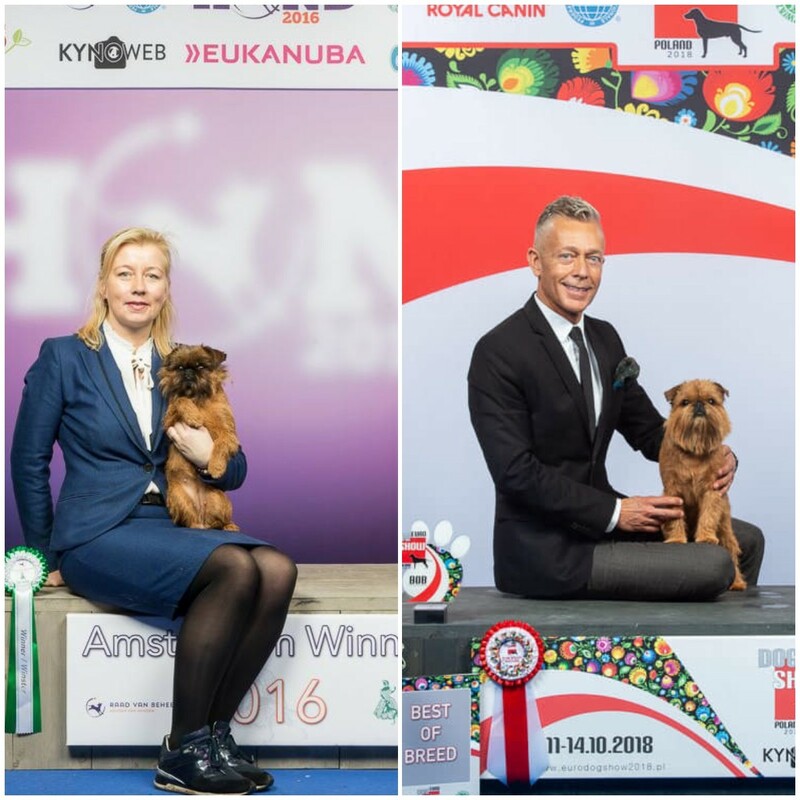 Griffon Belge Whoop De Woo Don Piccolo “Piccolo” got JCAC and Latvian Toy Dog Club Junior Winner-2018 title. Now he became Latvia JCH and Baltic JCH. 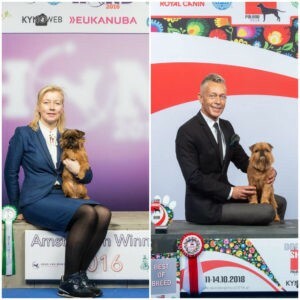 We have great show news! 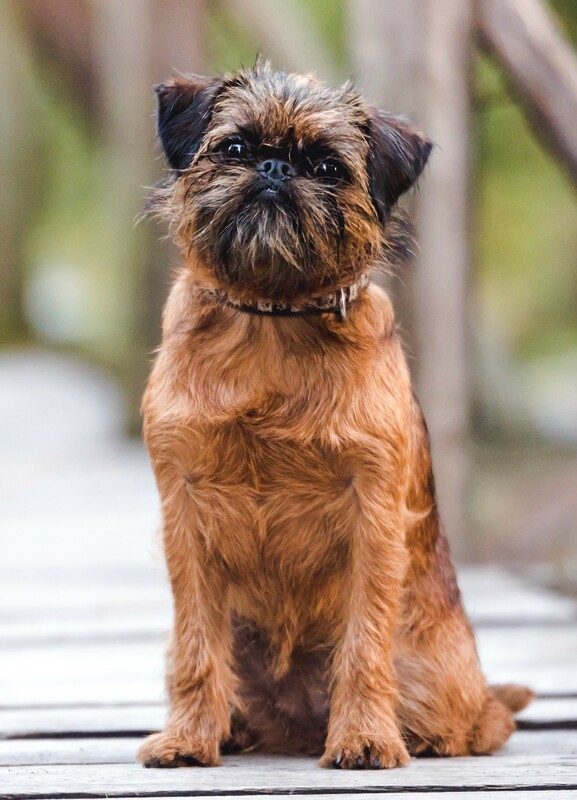 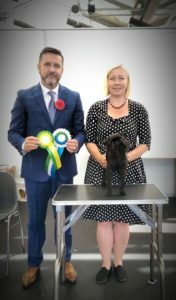 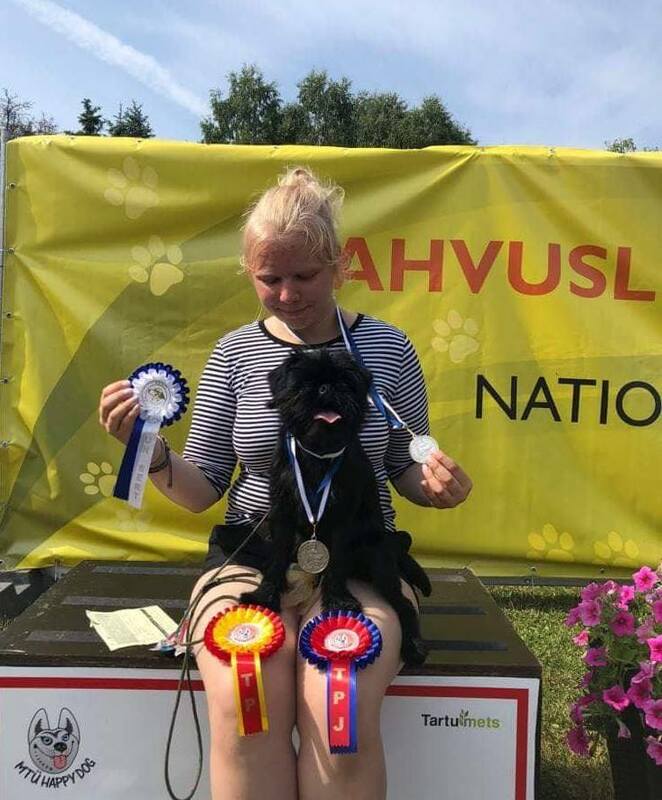 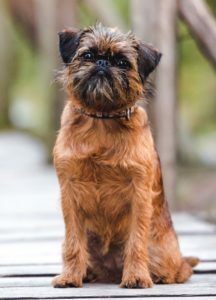 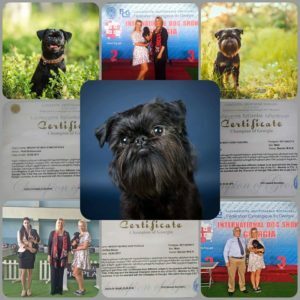 Brussels griffon WHOOP DE WOO ESTELLA DE LA VICTORIA “Kiki” won JCAC ane Estonian JW-2018 title and was BOBJ. 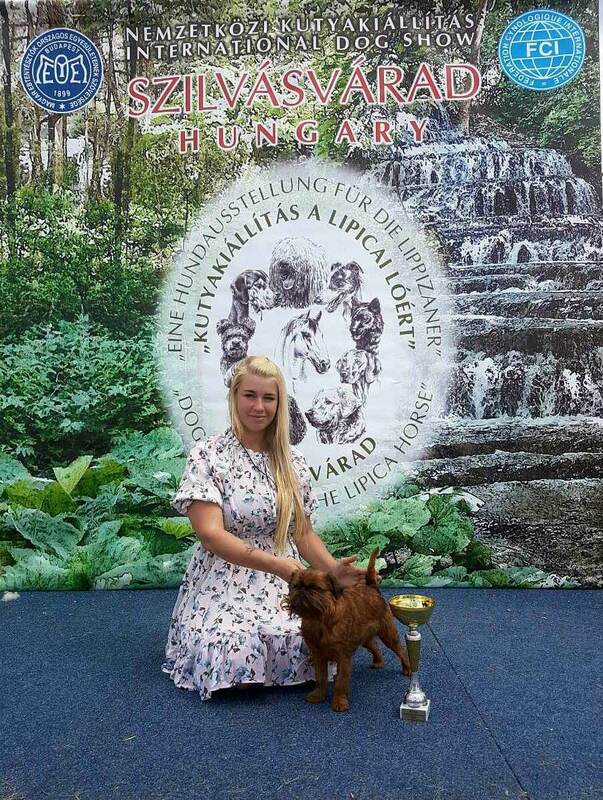 Show weekend in Hungary is over!